Building a world-class metropolitan food industry area. Learning from the Green-ports of Dutch food industry, and incorporating existing industries and infrastruc-ture, we apply the metropolitan food cluster (MFC) to spatial structuring, and plan functions to support advanced supply chain. 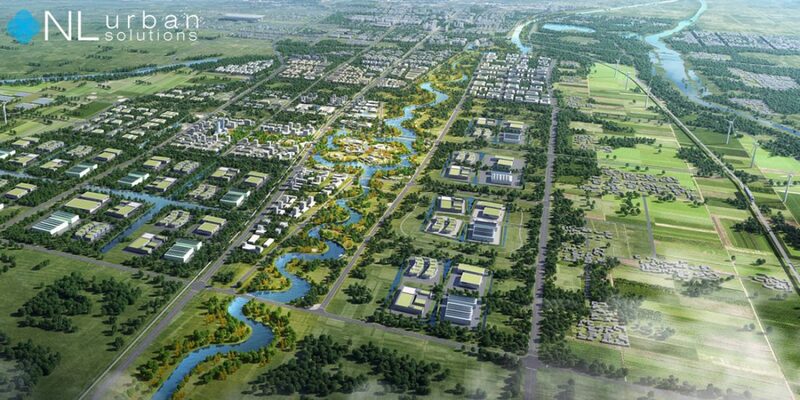 This project can be the reference for the whole Weifang region to establish its regional level cluster. Planning a future for agriculture, villages and the rural population. Based on exist-ing forms of agricultural activities, local landscape resources and need for indus-trial functions, we have proposed diverse forms of agricultural activities, ranging from hi-tech closed production at corporate levels, to semi-open and open produc-tion at family/community farm levels. 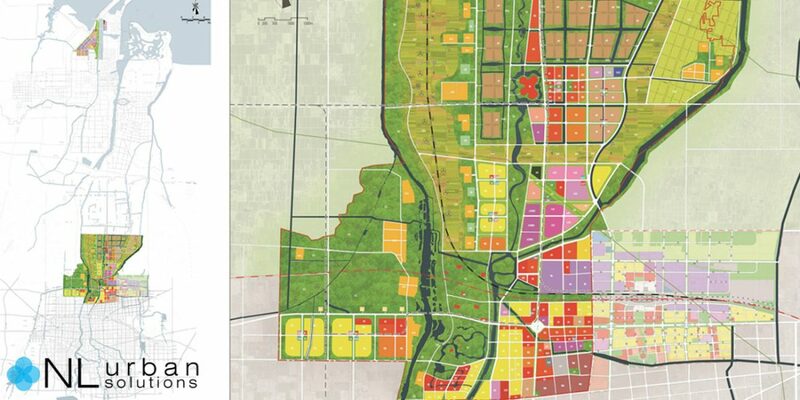 The proposal preserves one third of existing villages, and plans for their extended agricultural programmes, so as to allow for social and cultural continuity in the economic and spatial transformation. Sustainable urbanisation. 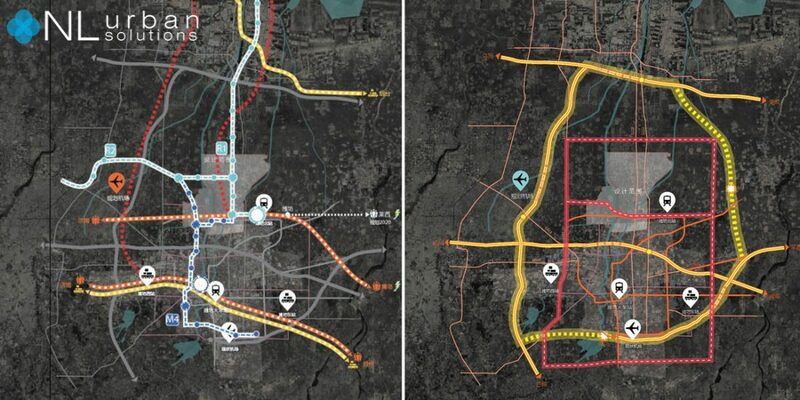 Our plan is structured with the larger landscape and industrial functions, and embedded with circular economy strategies for industrial and urban metabolism. Specifically, a green-blue network carries ecological func-tions, urban green spaces and slow traffic system. 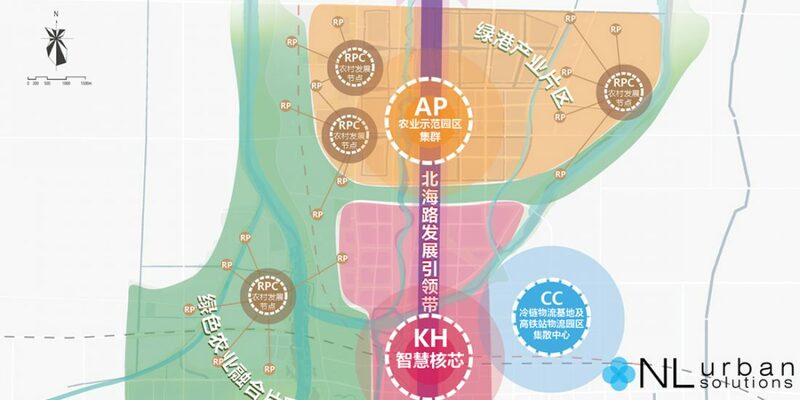 The industrial areas are oriented with the MFC model and configured with functions along the supply chain. Recy-cling of water and biomaterials, and energy production from biomass and other types of renewables are planned to further make the industry and city more effi-cient.